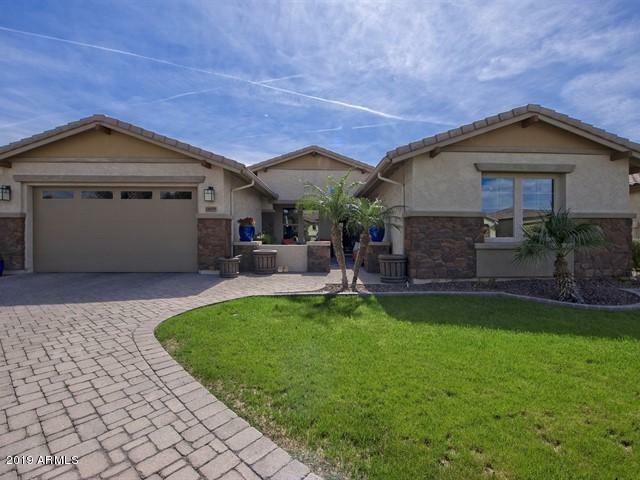 Stunning basement home nestled in The Village at Litchfield Park on a premium cul-de-sac lot adjacent to common green. 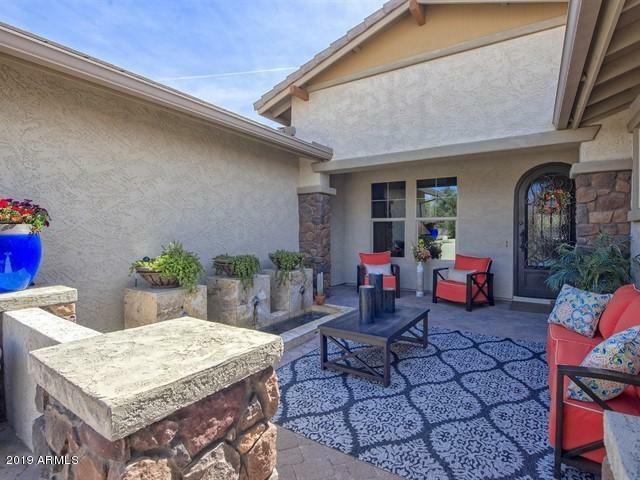 Tranquil cobblestone courtyard welcomes you with dazzling custom fountain & ornate iron front door. Elegant finishes include porcelain wood tile floor, lush carpet, plantation shutters, custom window treatments, upgraded lighting, & smart home features. 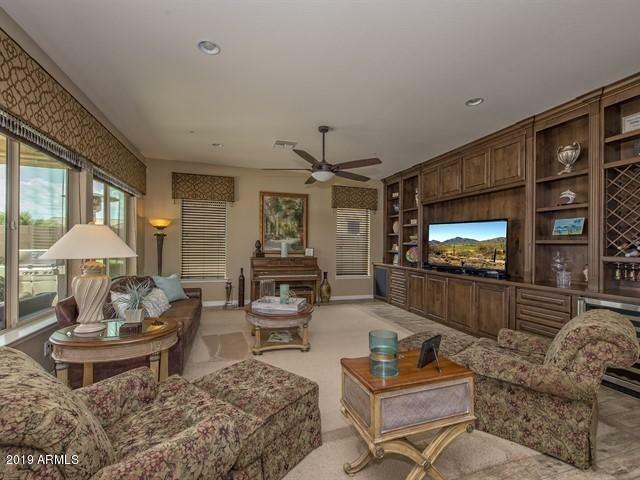 The open floor plan offers a spacious Great Room highlighted by a built in media center & bookcases & huge windows to capture the spectacular backyard. The Kitchen incorporates staggered hickory cabinets w/ roll outs, dovetail, & soft-close features. Kitchen Aid SS appliances, large Island & deep farmhouse sink. 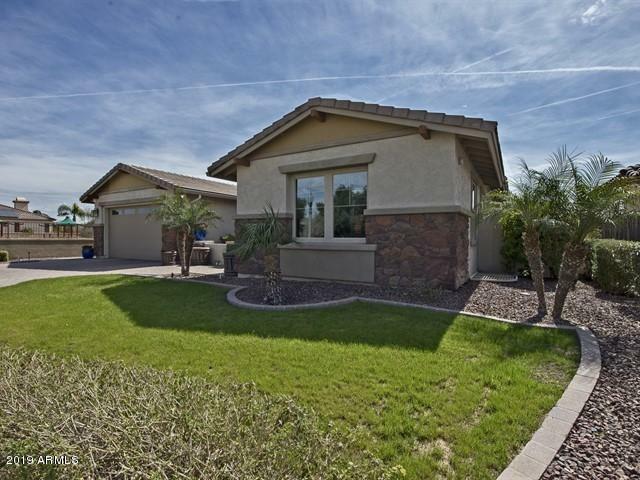 5 spacious bedrooms include Master Suite with Aquatic soaker tub, walk in shower, upgraded cabinetry & lighting.